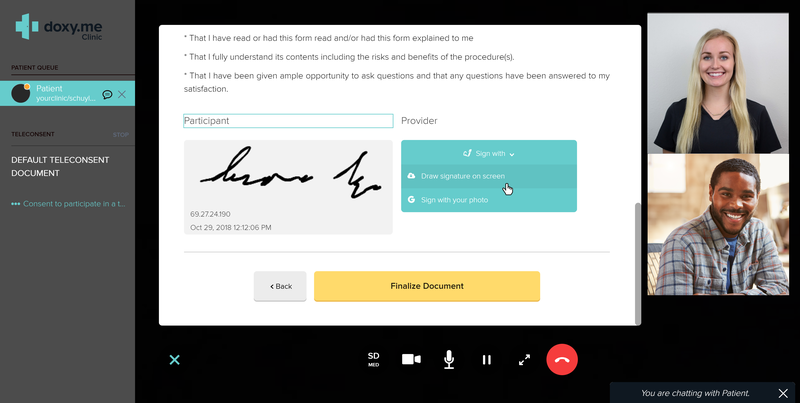 With teleconsent you can get signatures for your documents. This is a beta feature that has to be activated on your Clinic account. Contact schuyler@doxy.me for more information. Note: Teleconsent is only available to Clinic users. If you have trouble using teleconsent, contact our support team.